Jos� Ra�l Capablanca y Graupera (November 19, 1888 - March 8, 1942) was a Cuban world-class chess master in the early to mid-twentieth century. He was world chess champion between 1921 and 1927. Referred to by many chess historians as the Mozart of chess, Capablanca was a chess prodigy whose brilliance was noted at an early age. According to Capablanca, he learned the rules of the game at the age of four by watching his father play. He said he noticed his father make an illegal move with his knight, accused him of cheating, and then demonstrated what he had done. It may not have been possible for him to have learned the irregularities like castling, en passant and pawn promotion simply by watching, since these are rare in games among weak players. Capablanca was taken to the Havana Chess Club when he was five, where the leading players found it impossible to beat the young man even when he started a queen down. At the age of 13, he defeated Cuban national champion Juan Corzo by the score of 4 wins, 3 losses, and 6 draws. In 1909 at the age of 20, Capablanca won a match against US champion Frank Marshall +8 -1 =14. Marshall was of a high enough caliber to have played a World Championship match just two years earlier. At Marshall�s insistence, Capablanca played in a 1911 tournament in San Sebastian, Spain. It was one of the strongest tournaments of its day — in attendance were all the world�s leading players except world champion Emmanuel Lasker. Ossip Bernstein and Aaron Nimzowitsch objected to his presence because he had not won a major tournament. But when Capablanca won the first round against Bernstein, which also won the brilliancy prize, Bernstein gained respect for Capablanca�s talent and said that he wouldn�t be surprised if Capablanca won the tournament. Nimzowitsch also made a disparaging remark about Capablanca when he commented on a Blitz chess game, and so they played a series of blitz games which Capablanca won easily. The masters conceded that Capablanca had no equal at fast chess. Capablanca won the tournament game with Nimzowitsch as well. Capablanca astounded the chess world by taking first place at San Sebastian, with a score of +6 -1 =7, ahead of Akiba Rubinstein, Carl Schlechter and Siegbert Tarrasch. In 1911, Capablanca challenged Emanuel Lasker for the world championship. Lasker accepted his challenge but proposed 17 conditions on the match. Capablanca disagreed with these conditions and the match did not take place. In September 1913, Capablanca secured a job in the Cuban Foreign Office. He had no specific duties but to play chess. At a 1914 tournament in St. Petersburg, Capablanca met Lasker over the chessboard for the first time. 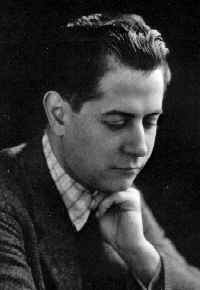 Capablanca took the lead by one and a half points in the preliminaries but lost to him in the finals. Capablanca finished second to Lasker with a score of 13 points to Lasker�s 13.5, but ahead of third-placed Alexander Alekhine. In 1920, Lasker saw that Capablanca was becoming too strong, and resigned the title to him, saying, "You have earned the title not by the formality of a challenge, but by your brilliant mastery." Capablanca wanted to win it in a match, but Lasker insisted that he was now the challenger. They played a match in Havana in 1921, and Capablanca defeated Lasker +4 -0 =10. This feat of winning the world title without losing a game to the incumbent went unequalled for almost eight decades, until Vladimir Kramnik�s win over Garry Kasparov +2 -0 =13 in 2000. As world champion, Capablanca was dominant in London in 1922. There was an increasing number of strong chess players and it was felt that the world champion should not be able to evade challenges to his title, as had been done in the past. At this tournament, some of the leading players of the time including Alexander Alekhine, Efim Bogoljubov, Geza Maroczy, Richard R�ti, Akiba Rubinstein, Ksawery Tartakower and Milan Vidmar, met to discuss rules for the conduct of future world championships. Amongst other things, one of the conditions, which was proposed by Capablanca, was that the challenger would have to raise at least ten thousand dollars for the prize money. In the following years, Rubinstein and Nimzowitsch challenged Capablanca but were unable to raise the necessary ten thousand dollars. Alekhine�s challenge was backed by a group of Argentinian businessmen and the president of Argentina who guaranteed the funds. Capablanca was second behind Lasker in New York 1924, and again ahead of third-placed Alekhine. He was third behind Efim Bogoljubov and Lasker in Moscow 1925. But he dominated the 6-player match tournament in New York 1927, not losing a game and 2.5 points ahead of Alekhine. As World Champion, Capablanca also underwent major changes in his personal life. In December 1921, he married Gloria Simoni Betancourt. They had a son, Jos� Ra�l, in 1923 and a daughter, Gloria, in 1925, but the marriage ended in divorce. Capablanca�s overwhelming success in New York 1927 made him the presumptive favorite for his match with Alekhine later that year. However, this match was Capablanca\\\\\\\\\\\\\\\�s undoing. He lost the first game, then took a narrow lead by winning games 3 and 5, but then lost games 11 and 12. He tried to get Alekhine to annul the match when both players were locked in a series of draws. Alekhine refused, and eventually prevailed +6 -3 =25. Alekhine refused to play a return match, although that was one of the conditions of the match. Instead, he played two matches with Efim Bogoljubov, who was arguably much weaker (Capablanca had a 5-0 record against him). Alekhine also refused to play in the same tournaments as Capablanca. After Capablanca lost the title, he won a number of strong tournaments, and in 1931, defeated Max Euwe +2 -0 =8. Then he withdrew from serious chess, and played only less serious games at the Manhattan Chess Club and simultaneous displays. Reuben Fine recalls that in this period he could fight on almost level terms with Alekhine at blitz chess, but Capablanca beat him "mercilessly" on the few times they played. In 1934, Capablanca resumed serious play. He had begun dating Olga Chagodayev, whom he married in 1938, and she inspired him to play again. In 1935, Alekhine lost his title to Euwe. Capablanca had renewed hopes of regaining his title, and he won Moscow 1936, ahead of Botvinnik and Lasker. Then he tied with Botvinnik in the super-tournament of Nottingham 1936, ahead of Euwe, Lasker, Alekhine, and the leading young players. This was Capablanca�s first game with Alekhine for the first time since the match, and he got his revenge. Their feud was still intense, so they were never seen seated together at the board for more than a few seconds. Each man made his move and then got up and walked round. In 1937, Euwe, unlike Alekhine with respect to Capablanca, fulfilled his obligation to allow Alekhine a return match. Alekhine easily regained the title. After that there was no hope for Capablanca to regain his title, and Alekhine played no more world championship matches till the time of his death. The absolute control of the title by the title-holder was a major impetus for FIDE to take control of it, and try to ensure that the best challenger has a shot at the title. Capablanca�s health took a turn for the worse. He suffered a small stroke during the AVRO tournament of 1938, and had the worst result of his career, 7th out of 8. But he could still produce masterpieces and other flashes of strength. In the 1939 Chess Olympiad in Buenos Aires, he made the best score on top board for Cuba, ahead of Alekhine and Paul Keres. On 7 March 1942, he was happily kibitzing a skittles game at Manhattan Chess Club in New York when he collapsed from a stroke. He was taken to Mount Sinai hospital, where he died the next morning. It was the same hospital that Emanuel Lasker had died in a year earlier. Capablanca is still widely regarded as one of the greatest players ever. He is especially renowned for his quickness of judgement, freedom from making mistakes, endgame skill, and positional style. He is considered a "natural" player, spending very little time preparing for his tournament appearances. Instead he would start a tournament slowly and try to pick up new things from his rivals� game. In his entire chess career, Capablanca suffered fewer than fifty losses in serious games. He was undefeated for eight consecutive years, from 1916 to 1923 inclusive, a 63-game non-losing streak. This includes the win of the world championship. In fact, only Marshall, Lasker, Alekhine and Rudolf Spielmann won two or more serious games with the mature Capablanca, but their overall lifetime scores were minus (Capa beat Marshall +20 -2 =28, Lasker +6 -2 = 16, Alekhine +9 -7 =33), except for Spielmann who was level (+2 -2 =8). Of top players, only Keres had a narrow plus score against Capa (+1 -0 =5), but that win was when Capa was 50. His bitter rival Alekhine wrote on Capablanca�s death, "With his death, we have lost a very great chess genius whose like we shall never see again." Capablanca founded no school per se, but his style was very influential in the games of two world champions Bobby Fischer and Anatoly Karpov. Mikhail Botvinnik also wrote how much he learned from Capablanca, and even pointed out that Alekhine received much schooling from him in positional play, before their fight for the world title made them bitter enemies. Botvinnik regarded Capablanca�s book Chess Fundamentals as undoubtedly the best chess book ever written. In it, Capablanca pointed out that while the bishop was usually stronger than the knight, queen + knight was usually better than queen + bishop. Botvinnik credits Capablanca as the first with this insight. Draw death and changing the rules? Capablanca predicted that chess would in the near future die a death of draws, meaning that masters could, if they wanted to, draw every game. To avoid such a fate, Capablanca suggested a new variation on chess, called "Capablanca Chess", to be played on a 10x8 board. His idea was that the added pieces and board size would increase the complexity of chess and allow the strongest player more opportunity to turn the game in his favor. Note that he proposed this complicated variant while he was world champion. This article is based on the article Jos� Ra�l Capablanca from the free encyclopaedia Wikipedia and stands under the GNU-Licence for free documentation. In the Wikipedia a list of the authors is available.